Our research on megatrends has shown that more and more people are living in cities. For instance, roughly half of China’s population lives in cities and the government plans to push that to 70% by 2025. This is not only happening in emerging countries; cities in developed economies are also growing. London is a case in point. Urbanization brings certain benefits, such as private and public investment, and increased job opportunities, that raise economic prosperity. At the same time, however, urbanization is producing new challenges. One of these is no doubt air pollution. And this is a tough one: London, which is not the worst major city for air pollution, breached the EU’s annual pollution limits just one week into 2016. Alongside their lower carbon footprint, this is why electric vehicles have been hailed as an important way to improve our environment. 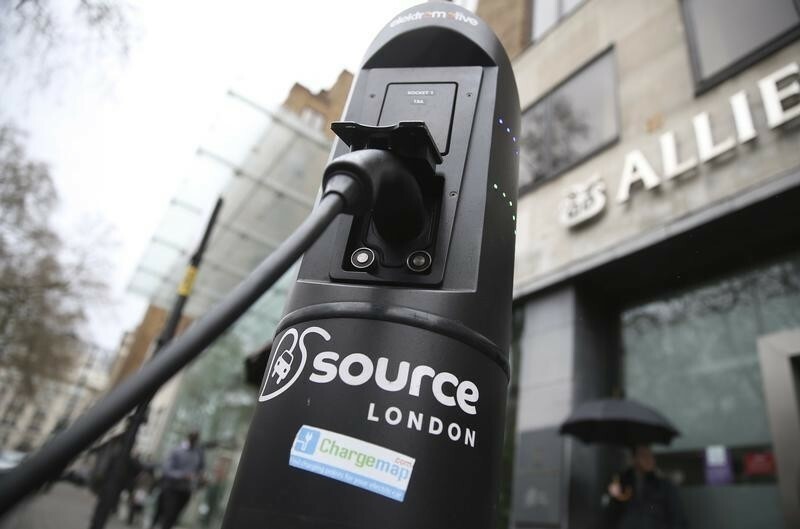 By one estimate, London will have some 20,000 electric cars by 2020. And this would possibly grow by five times to 100,000 in the five years that follow, according to Transport for London. This all sounds good except that there could be one slight problem: London’s power grid may not be able to support such large numbers of electric cars charging without significant reinforcement. 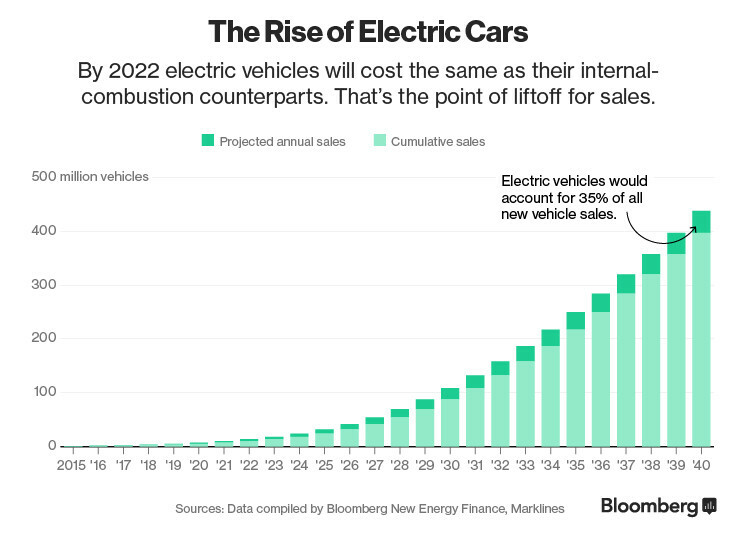 The need for electricity as a result of more electric vehicles could see peak demand rise by 30% by 2035. Even now, the city’s infrastructure of cables and substations that channel electricity from power stations to homes and offices is already extra-loaded from new households and businesses driven there by urbanization. Even though some £17 billion is expected to be spent to upgrade and maintain the electricity network, it is unclear whether this investment has factored in the capacity needed to meet the demand resulting from the dramatic uptake of electric vehicles. Therefore, a careful strategic response to how people would be charging their electric cars is needed. Ideally, incentives could be introduced to get electric car owners to charge at night, when the demand for electricity is lower. Yet the possibility of selling back electricity at peak times could make it more complicated. Indeed, Nissan recently announced plans to roll out special “vehicle to grid” points to enable its electric car owners to sell electricity stored in the batteries of their cars back to the grid. What happens if we own an electric vehicle and take advantage of the difference in tariff? Let’s say we only charge our cars at night to benefit from cheaper off-peak electricity tariffs. During the day, we could use up the electricity by using the car. Or we could draw electricity from the car to feed the electrical needs of our house during the more expensive daytime peak hours. What Nissan’s scheme is offering is the opportunity for us to make money by selling back energy to the suppliers. In this case, we could buy electricity at low price, store it in the giant battery sitting outside our house and then make a profit from the up to 45% price difference between unit price of off-peak and peak time electricity. If one household is doing it, this might not seem like a big deal. But with tens of thousands of electric cars likely to be in the system very soon, this source of flexible electricity storage could rapidly become a meaningful contribution to matching supply and demand. If poorly coordinated, this could create problems in the whole electricity supply chain. Properly done, this kind of electricity storage could help overcome the challenges of intermittency of solar and wind generation. It could also make a disproportionate contribution to the environment, because cheaper night time electricity is likely to be drawn more from low-carbon nuclear generation. We can rely less on the least efficient electricity generation plants that are currently used to meet high-peak demand. However, making this happen requires the right level of investment in the electricity networks, setting up smart two-way flows of electricity and the right regulatory framework to encourage and incentivize car owners to use their vehicles like this. It might also lead to new entrants into the electricity markets from battery makers, car producers or other technology-based firms,with all the innovation they bring. Major incumbent energy suppliers would not necessarily welcome this: consumers’ power may grow stronger. On the other hand, the grid operator, whose role in procuring power and balancing the system with many more points of production and sources of storage, is likely to become increasingly complex. If electric vehicles were to fulfil their promise, both businesses and governments would need to think deeply not just about their business or political implications, but the social ones, too.